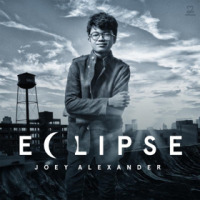 Born on the island of Bali in the city of Denpasar in 2003, Joey Alexander first encountered a piano at the age of six, and was immediately able to pick out the melody of Thelonious Monk’s “Well, You Needn’t” and other jazz standards from his father’s record collection by ear. His father, an amateur musician, nurtured Joey’s gift for swing and improvisation by introducing him to classic jazz recordings and taking him to jam sessions with seasoned musicians in Bali and Jakarta. From there, his musical intuition flourished, as did his love of playing jazz. Learning by listening, Joey’s early influences include Duke Ellington, Thelonious Monk, Bill Evans and John Coltrane, and he has a special affinity for trumpet players including Clifford Brown, Lee Morgan, Miles Davis and Wynton Marsalis. Despite his lack of formal jazz training, Joey developed an authoritative technique, and with his depth of musicality he quickly rose in the Indonesian jazz scene and beyond. At age 8, UNESCO invited Joey to play solo piano in front of jazz icon Herbie Hancock during his visit to Indonesia. Joey drew significant inspiration from Herbie’s enthusiastic response to his playing. At age 10, Joey was featured at jazz festivals in both Jakarta and Copenhagen, and he won the international improvisation contest in Odessa, Ukraine – besting over 200 jazz professionals from 17 countries. In 2014, Joey performed at star-studded galas in New York City for Jazz at Lincoln Center in Rose Hall, the Jazz Foundation of America at the Apollo and the Arthur Ashe Learning Center at Gotham Hall. 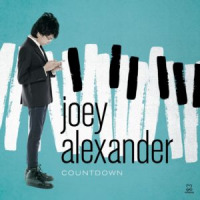 On May 12, 2015, Joey Alexander released his highly anticipated debut album ‘My Favorite Things’ on the Grammy-winning Harlem-based label Motema Music. On his debut recording, Alexander performs classic tunes from Coltrane to Rodgers & Hammerstein with a deft touch, adventurous spirit and improvisatory verve. ‘My Favorite Things’ was produced by Grammy-winning producer Jason Olaine. Accompanying Joey on the album are bassist Larry Grenadier and 2-time Grammy-winning drummer Ulysses Owens, as well as three talented young players from the New York scene, Russell Hall (bass), Sammy Miller (drums) and Alphonso Horne (trumpet). 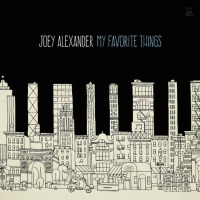 Alexander’s imagination, sophisticated arrangements and dazzling playing make ‘My Favorite Things’ a soulful and joyful musical adventure. It is also a statement of intent, a compelling introduction to a budding young leader, performer and composer, who plays with power and elation. 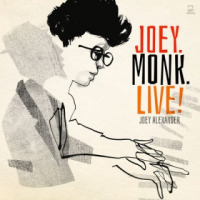 From his impressionistic introduction to “Giant Steps” to the spirited interplay with his band mates on “It Might As Well Be Spring,” to his remarkable rendition of “Over the Rainbow,” Joey proves himself a true and distinctive jazz professional. Joey has already been invited to perform at venues including the Rochester Jazz Festival, Newport Jazz Festival, Jazz at Lincoln Center and a TED conference. The sky appears to be the limit for this soulful young artist. All About Jazz musician pages are maintained by musicians, publicists and trusted members like you. Interested? Tell us why you would like to improve the Joey Alexander musician page.